2017-19 G4 E Module Brace Kit - Grip N Rip Racing LLC. 2017-2019 G4 E Module brace kit, similar to the BRP reinforcement plate but with improvements. 25% thicker aluminum than the BRP plate. G N R text cut into the center section to allow air to flow under the motor and to primary clutch area. BRP's plate completely blocks airflow thru this area. Plate is wider in the area where our front end brace kit bolts thru in order to hit both bolts. 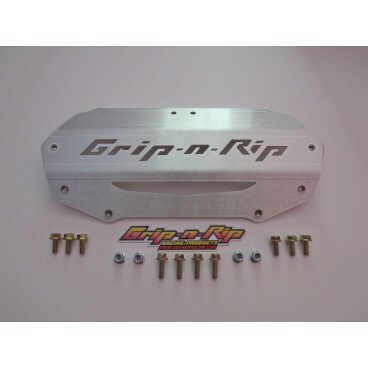 If you use our front brace kit with the BRP plate one of the bolts only catches half the plate. Less expensive than BRP plate. Comes with a template to drill the two holes thru the stock cross brace. 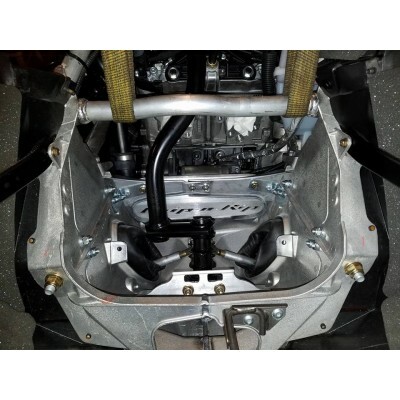 These bolt holes are in the correct location that will line up with our front brace kit if you want to add that in the future. 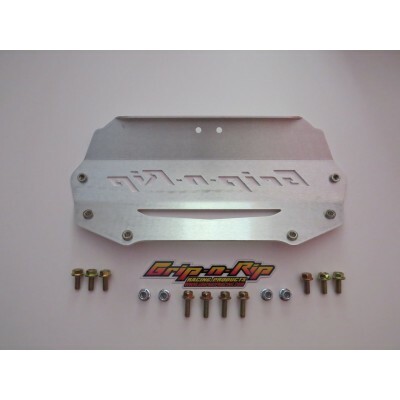 With BRP's reinforement plate you need to purchase a separate drill template to locate the drill holes.